Stuart Ralston checks out the debut album from Cumbrian trio Colt 45. 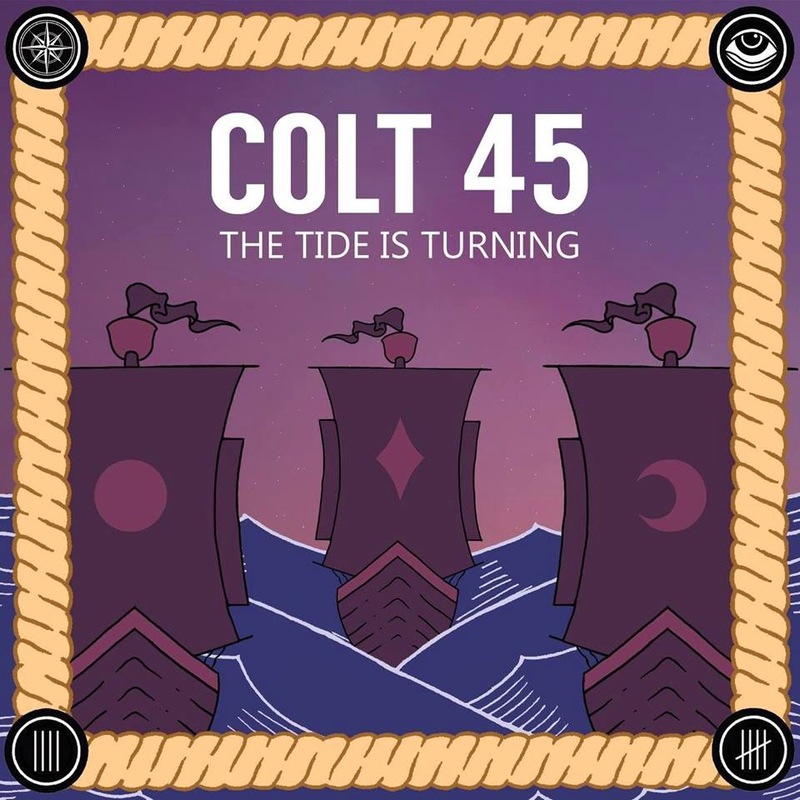 With their first EP released as long ago as 2011, fans of punk rockers Colt 45 have a quite a wait to get their hands on this, their first long player. Appearing at Radio One's Big Weekend that year left the band (singer / guitarist Neil Harper, bassist Gareth Jenkins and drummer Adam Lewis) tipped for success. Building up a steady live following has gained them a place on the festival circuit and they've even played the prestigious Download Festival and have drawn praise from Kerrang. Opening with the anthemic Salt Water and displaying a youthful sense of optimism, it is clear from the outset that they are aiming to emulate bands such as The Offspring and Green Day. However vocalist Harper, separates Colt 45 from many other bands with his reflective and mature lyrics, no more so than on OK and I Thought I Knew Best. As you'd expect from a trio, they are a tight musical unit, who have no difficulty at all in creating 3 minute power pop tunes. There is a touch of Chilli Peppers to I Remember When The Rain Came Down and the band slow things down with my pick of the album The Tide Is Turning. Time Will Tell though is a bit rock by numbers. Closing track Crutches sees the band back on form with a great guitar melody, and you can hear another of their influences in there, in the shape of The Manics. As a punk / pop trio, Colt 45 are in an environment with lots of competition. Songs like The Tide Is Turning and Harper's well crafted lyrics might just help them stand out from the crowd. The Tide Is Turning is out now. Colt 45's official website can be found here. They are also on Facebook and Twitter.